When I was a kid, I HATED turmeric milk, also known as haldi ka doodh. In my six-year-old mind, there was nothing “golden” about golden milk. I treated it like medicine, because that’s how my parents gave it to me. If I had a minor cold or a tummy ache, then you can bet my mom or dad were making me a cup of turmeric milk. 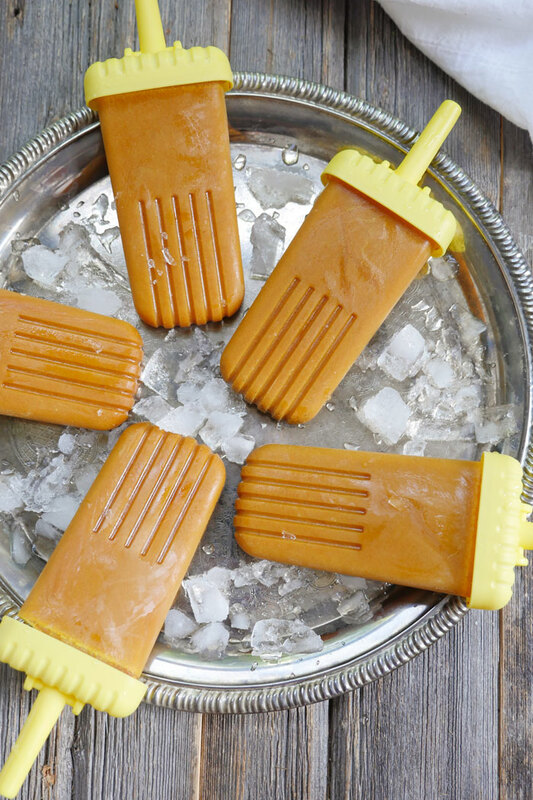 These golden milk popsicles are sweet, icy and the perfect treat during this summer heat. 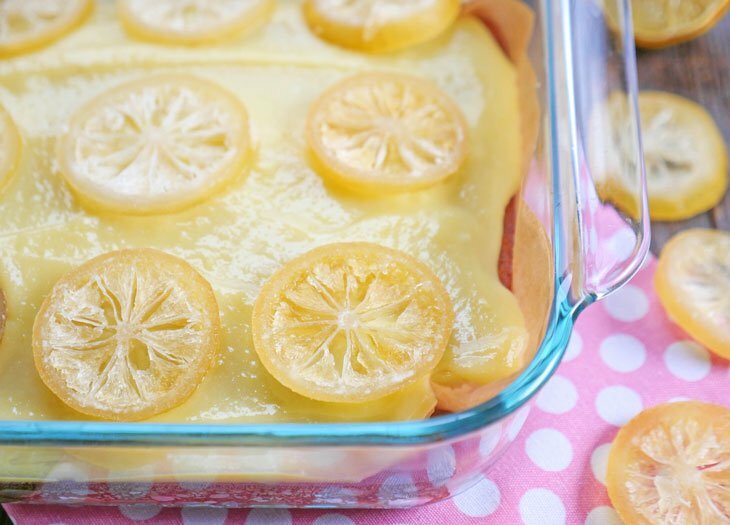 If you have kiddos, these treats are a great way to get them to give golden milk a try. Just start off with less turmeric and work your way up – turmeric is an acquired taste. Another thing to keep in mind when serving this to kids (or messy adults), make sure they’re wearing a bib/old clothes! Turmeric stains are the worst. 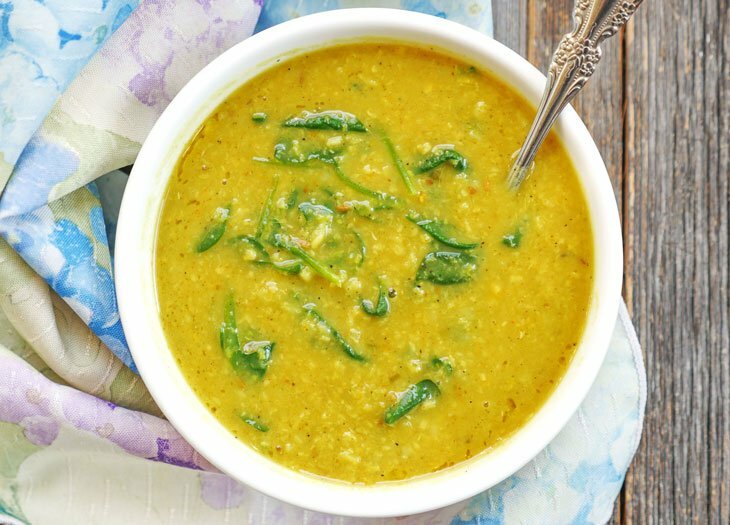 In India and well, now here in the states, golden milk is a known ancient healing remedy. It has anti-inflammatory properties; research shows that curcumin, the active ingredient in turmeric, has many health benefits (source – one of many). 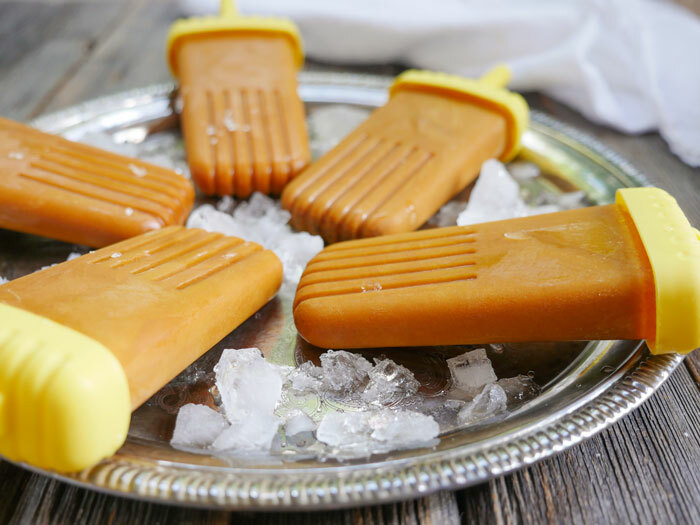 As you make these popsicles, you’ll notice that the golden color gets darker the longer you cook the turmeric in the milk. In addition to turmeric, I added other spices like: ginger, cinnamon, cardamom and black pepper. I added the black pepper because it helps the body absorb the curcumin (source). 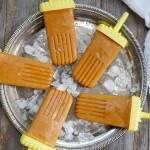 You can see these golden milk ice pops are a treat that you can feel good about eating this summer! Add the milk and spices to a pot and bring the mixture to a full boil, then immediately reduce the heat to a simmer. Keep an eye on the pot so that it doesn’t boil over. Add the almond flour, and continue to stir for 1-2 minutes. Turn off the heat and immediately stir in the honey or sweetener of choice. Allow the mixture to cool on the stovetop. Taste the mixture and add additional sweetener if needed. 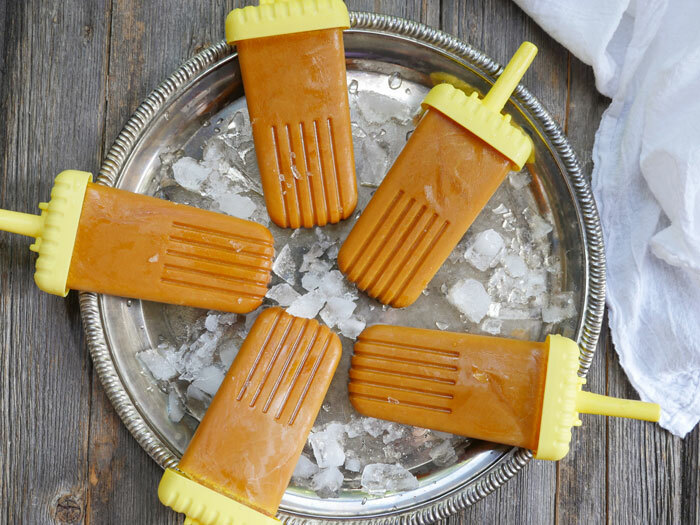 Next, pour the mixture into a popsicle mold and freeze until solid. Thanks for this idea of frozen Golden Milk! What is the reason for almond flour, and what can I use instead (nut free)? Hi Robyn! The almond flour is for texture – you can leave it out if you can’t eat nuts. 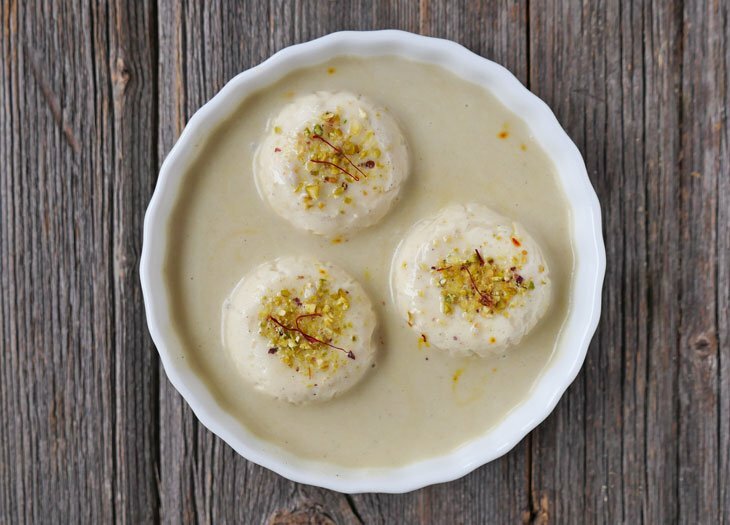 A lot of Indian milky desserts include nuts – again, mainly for texture and to thicken them a bit.